Join the global celebration of the most lovable sustainable cities. Explore the ways that 47 of the world’s most sustainable cities are leading the way to improved cities and a better planet. Then vote for your favourite, share what you love about it and tell us your ideas for making it even better. 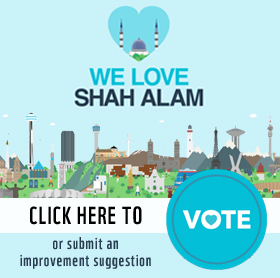 For the first time, Malaysian cities Petaling Jaya and Shah Alam are participating in the “We Love Cities” campaign so please vote for them, and share any of your views for improvements with the City Councils.